Wolf's Huntsman #4 in the Texas River Wolf Pack Series. I have been working on this book since Wolf's Mission published. At this point, I have seven chapters and over 9,000 words written. 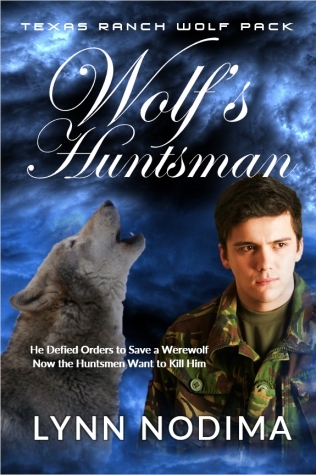 In Wolf's Mission, Nate and Eli bring one of the Huntsmen back with them. After helping them retrieve a kidnapped werewolf, his life is forfeit. But what happens when a Huntsman, raised by a family of Huntsmen, suddenly finds himself surrounded by the very werewolves he has been trained all his life to fear, hunt, and kill? The preliminary cover selected for this book is at left. Have you read the previous books in the series? To get up to speed on the series before this book is published, the following books are available on Amazon.com. Please leave a review for books you read. It doesn't have to be much. Even, "I liked it." helps a lot. Thank you for your continued support of my writing efforts.